The Warner Robins Fire Department Training Division was established in September 1977. The Training Division was responsible for new recruit training and making sure the department met all of its training requirements for the state. At this time the training officer was the rank of lieutenant. The position of lieutenant was later changed to captain, and eventually made into an assistant chief position. Due to the expansion of the department, more positions were added to this division throughout the years. In 2006 an assistant training officer was added at the rank of lieutenant, then later made captain. In 2007 the Training Division consisted of an assistant chief, captain, and a lieutenant. In 2010 a health and safety officer with the rank of lieutenant was added to the Training Division. The Training Division is now responsible for the training of new recruits, fire suppression, officer development, and technical rescue. The division maintains training records mandated by Georgia Firefighter Standards and Training Council requiring 24 hours of annual training on job specific classes, and 240 hours requested by Insurance Services Office (ISO) for the fire suppression rating schedule. All medical re-certifications for first responders, EMTs, and paramedics are tracked through the Training Division as well as any promotional testing and hiring processes. From the beginning the Training Division has assisted other departments in the state with their training needs. 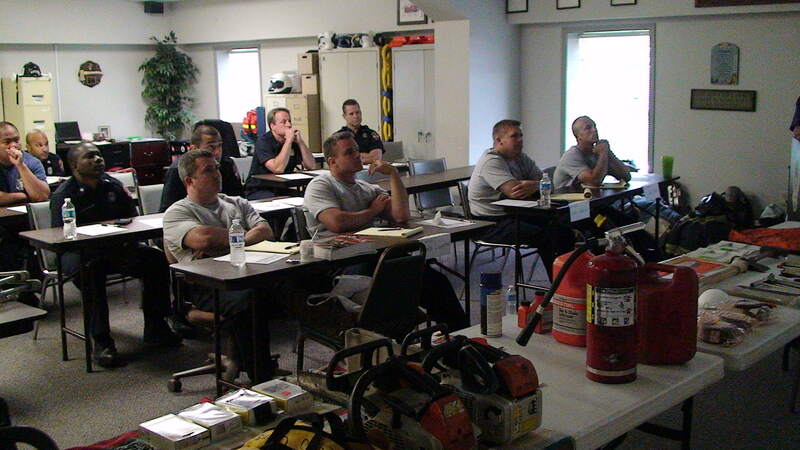 Throughout the years different training officers from the department have traveled around the state, and even out of state, to teach various classes at training academies and conferences. The Training Division is the backbone of the department and continues to look for better ways to help the Warner Robins Fire Department stay ahead of the curve in training.